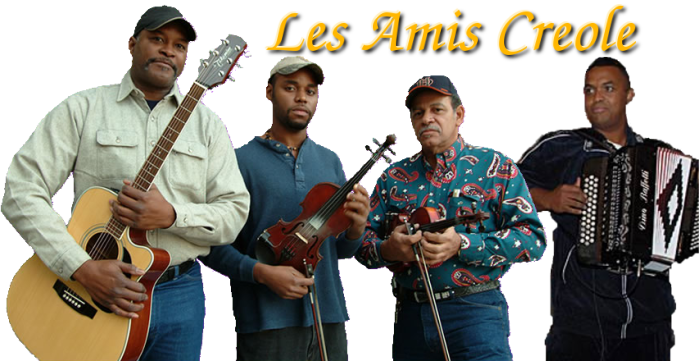 Most contemporary zydeco -- with its R&B, hip-hop and reggae influences -- bears little resemblance to the early days of Creole music when fiddlers like the late Bebe Carriere and Canray Fontenot were essential. Cedric Watson is out to change all that. The 21-year-old grew up in and around the east Texas towns of Bryan and Sealy and spent summers with relatives in Louisiana. He started playing music when his grandmother bought him a guitar -- along with some blues and zydeco tapes by players like John Delafose. "From when I first heard it I've always loved the old Creole music from my heart," Watson says. "Some of those old songs like 'Jolie Bassette' just made me fall in love with the music." He figured out the melodies by playing along on harmonica and an old concertina, while listening to the occasional old-style Creole music played on Houston zydeco radio shows on 97.9 "the Box" and 90.1 KPFT. Watson became familiar with the pieces, and when he got his first fiddle at 18, he could quickly put together the band Tout a Fait. Zydeco DJ James "J.B." Adams Jr. remembers first meeting Watson when the budding musician called into Zydeco Pas Sale, a radio show that Adams co-hosted on KPFT. On one occasion before a weekly Sunday jam session and dance at the Big Easy Club in Houston, Watson contacted the station to ask if he could bring his whole band to the jam. A bit confused by the request, Adams said it was fine -- not really knowing what to expect. That night, as musicians signed up for the session, Watson's fiddle case attracted a lot of attention. "When Cedric started to play, everybody flipped the hell out," Adams says. "I was thinking, 'Wait a minute, this ain't real.'" Though scratchy at first, Watson and the band still blew the crowd away, Adams recalls. After that, Adams and Creole fiddler Eddie Poulard began to introduce Watson to some of the oldest surviving Creole musicians in Texas and Louisiana -- players like Goldman Thibodaux, who became a major influence. "Goldman used to play scrubboard behind the Lawtell Playboys and other old Creole bands, so he knows a lot about the music and the language," Watson says. "He taught me about the Creole culture and the old 'la-la' music, and he showed me a lot of songs that I'd never even heard before." By dedicating himself to the music -- and by learning from musicians like Thibodaux -- Watson learned the old sounds. He also had the opportunity to hone his chops at festival performances. Still, being a Creole fiddler in east Texas zydeco dance halls can get you some strange looks. "In Texas, I wanted to play Creole but everybody wanted zydeco," Watson says. "When I would take out my fiddle, people would say, 'Why do you want to play that white French music?'" Last year, Watson moved to southwest Louisiana, and he's been playing around the region with his new band the Creole Cowboys. Onstage, his vigorous style captures the spirit of some of the earliest recorded Creole songs. 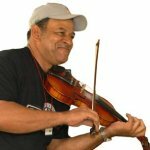 In his hands, the fiddle traditions of black Creole music are kept alive for another generation. That's significant for Watson. "It's important for me to play traditional Creole pretty much because it's almost dead, and there's no young blacks playing fiddle or traditional Creole music," he says. 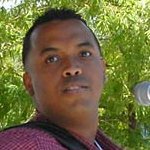 "If some young guy doesn't come along before all the older musicians pass away, it will all be gone"
Corey Ledet and Cedric's roots are in Louisiana, but these two young Creole musicians were born and raised in Texas. They have played together before at various events, but Corey has his own Zydeco band. 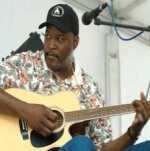 Although Corey performs a wide variety of zydeco numbers, he has become especially renowned for his versions of Clifton Chenier's songs, the closest anyone today has come to the sound of the King of Zydeco on the piano accordion.